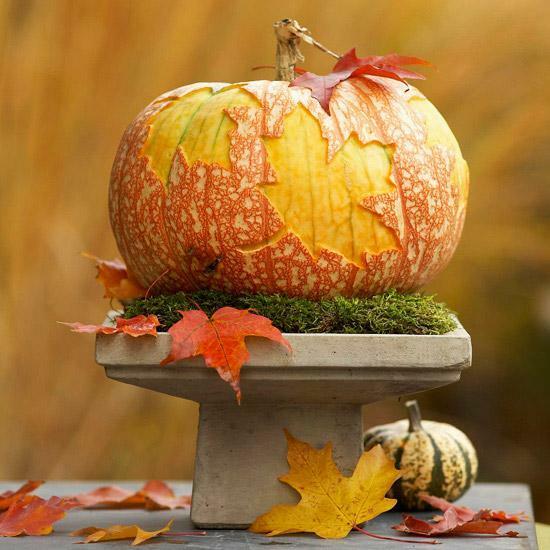 Fall table decorations and centerpieces created with pumpkins and gourds look very interesting and creative while adding a natural touch to your party decor. 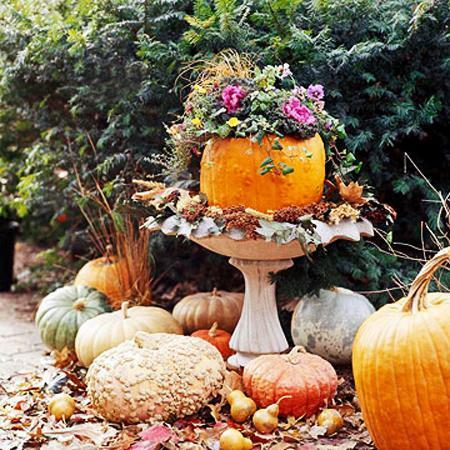 When you decorate for a Thanksgiving, birthday and Halloween party or any special event in fall, you can make beautiful vases from large and small pumpkins and gourds, plates and bowls that are decorative or used to serve meals and deserts. 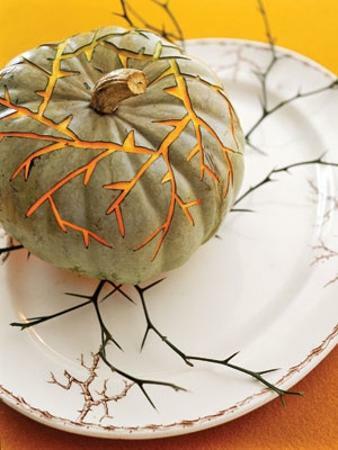 For impressive no fuss desserts, make cupcakes, decorate them with Halloween flair and serve in a homemade pumpkin plate. 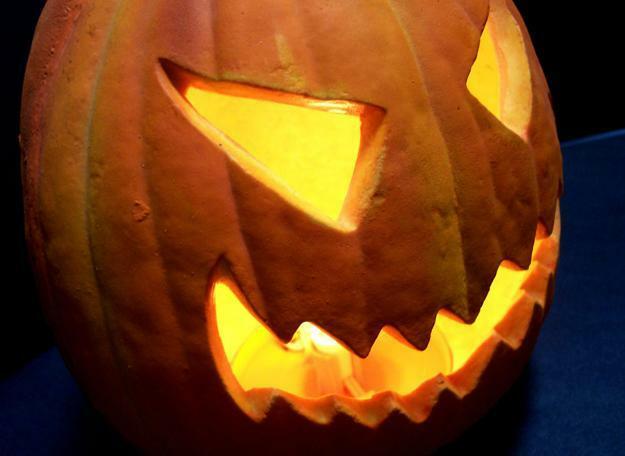 Add spooky or funny faces to your treats with small Halloween candies and icing. 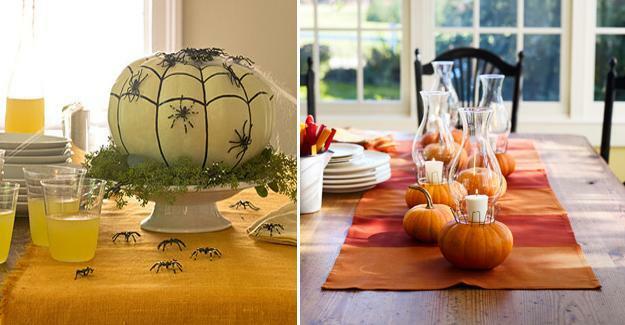 You can use orange, green, black or purple icing on white desserts, adding some dark lines to make the cupcakes and cookies look like pumpkins, spider nets, ghosts or bats. 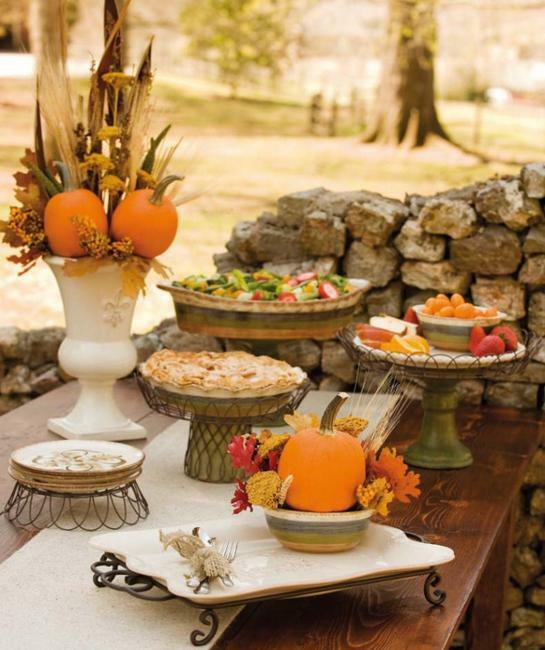 A large cake or small cookies on a large serving plate hand carved from a pumpkin make wonderful fall table centerpieces. 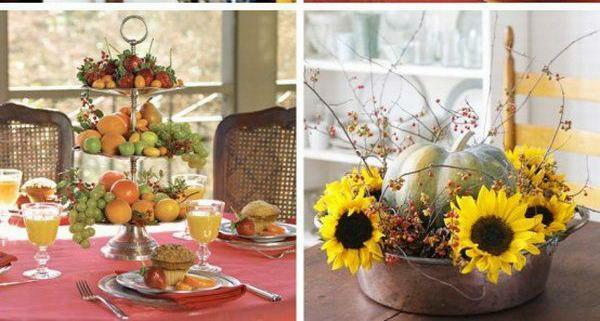 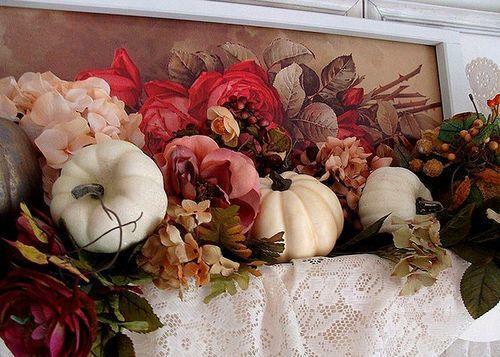 Any pumpkin or gourd centerpiece can be decorated with Thanksgiving or Halloween theme. 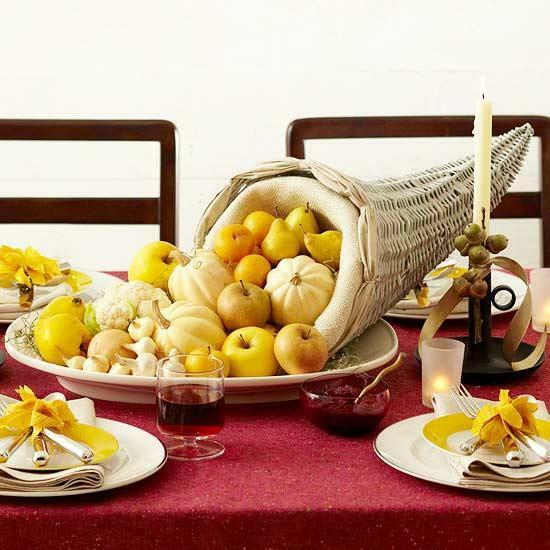 Combined with small gourds, sweets, fresh flowers and fall leaves, these inexpensive and creative handmade table centerpieces create fabulous table displays for fall decorating. 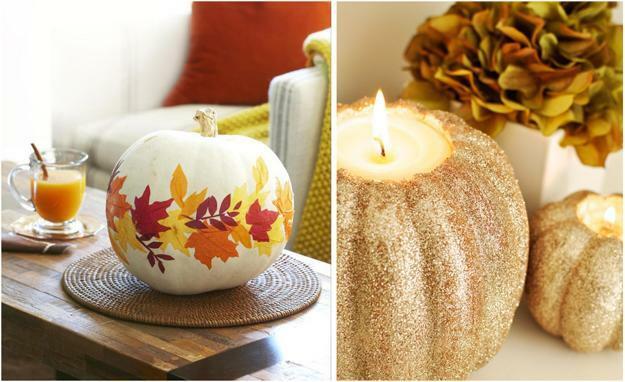 Fall decorating with pumpkins and gourds offers lots of endless options to create unique, festive and bright party decor. 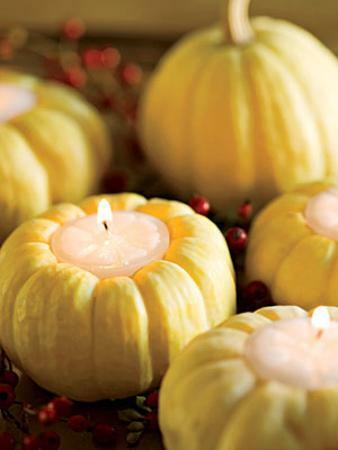 All you need just a great ideas, some time and these wonderful fall vegetables. 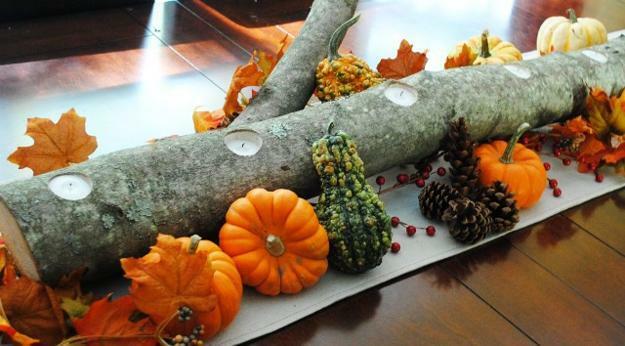 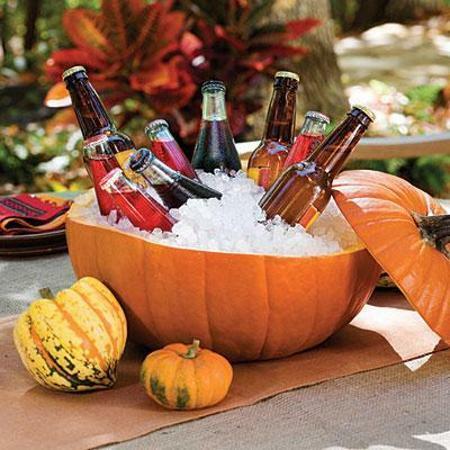 Thanksgiving and Halloween centerpieces do not have to be expensive. 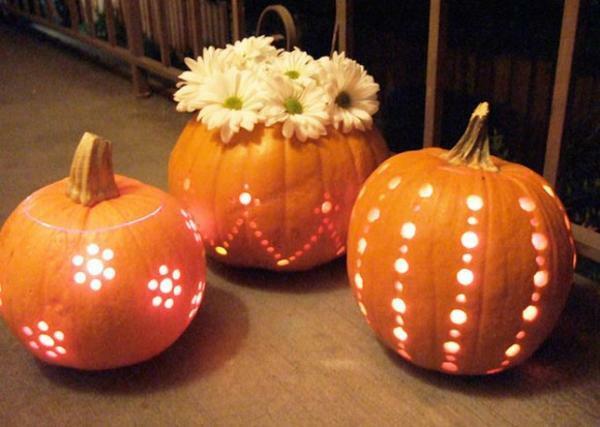 Making them must be fun and not time consuming. 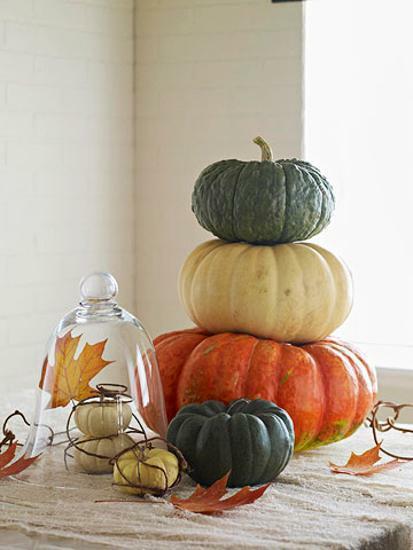 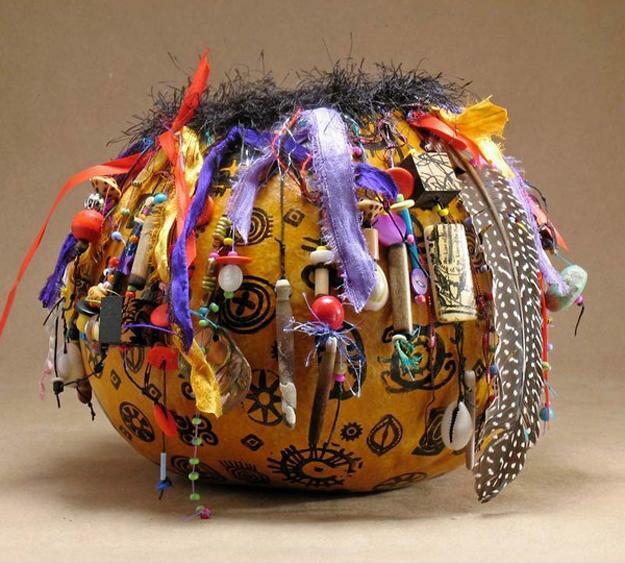 Simple and meaningful pumpkin and gourd designs are excellent for turning fall decorating into lots of fun. 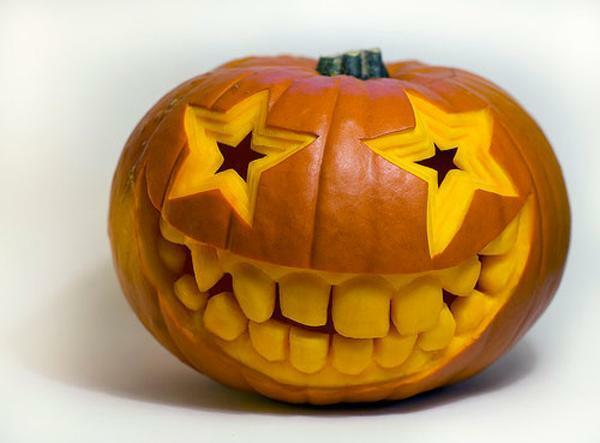 Kids are great at coming up with creative and unique jack-o-lantern faces, and can not wait to dig their fingers inside of pumpkins to clean them out while helping you to create unique fall table decorations and centerpieces for your party decor. 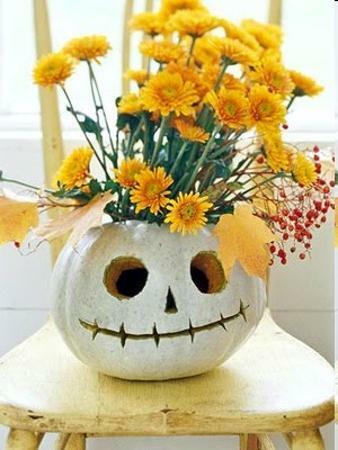 A simple jack-o-lantern centerpiece or arrangements with fresh glowers and fall vegetables are great ways to spend time with kids and save money on fall decorating. 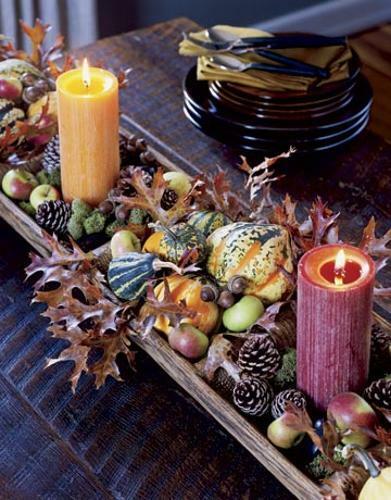 Flower and candles centerpieces with colorful pumpkins and gourds look dramatic, while roasted pumpkin seeds make a crunchy and healthy snack. 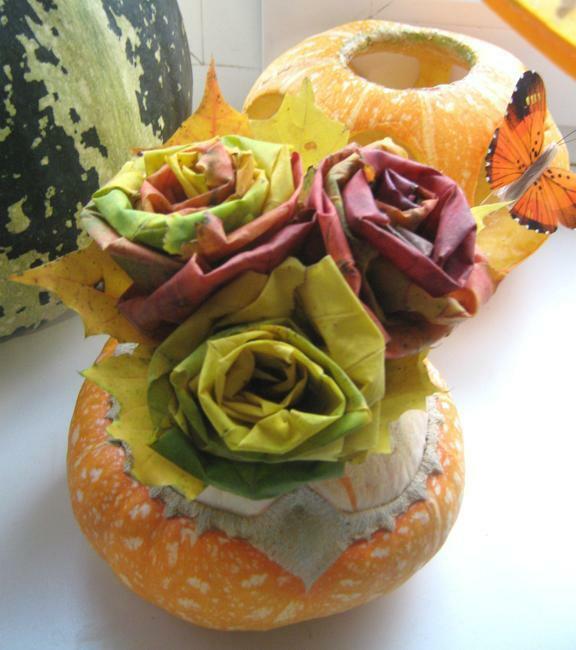 Save time and energy by making simple Halloween decorations or Thanksgiving centerpieces. 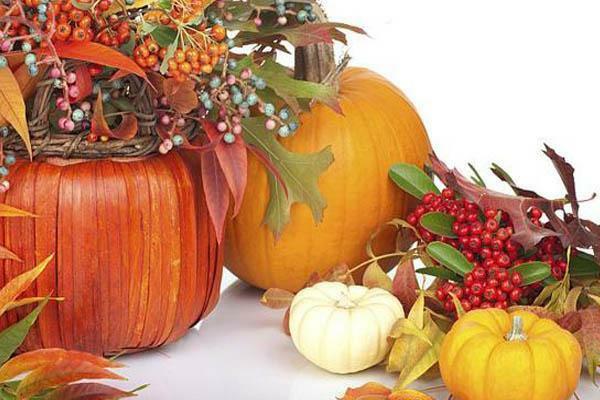 These fall holidays are about fun and spending more time enjoying your family and friends. 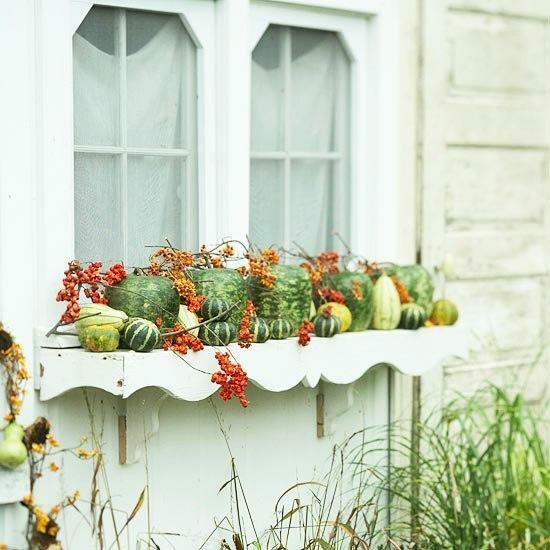 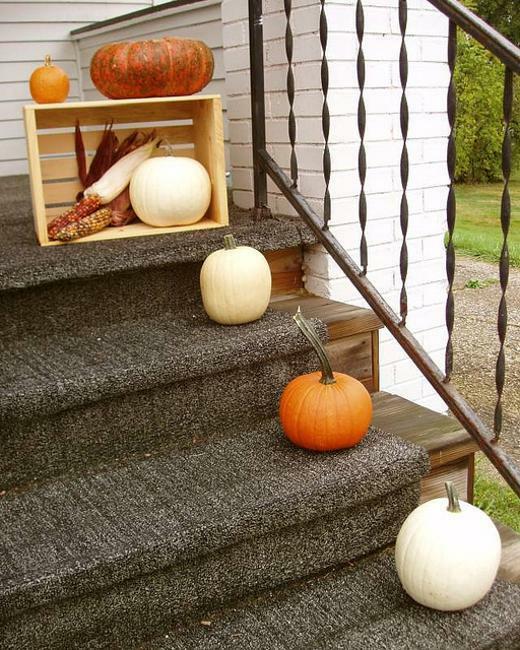 Fall vegetables, like apples and gourds, fall flowers and leaves are inexpensive and beautiful materials for creating eco friendly, attractive and cheap fall decorations for your home. 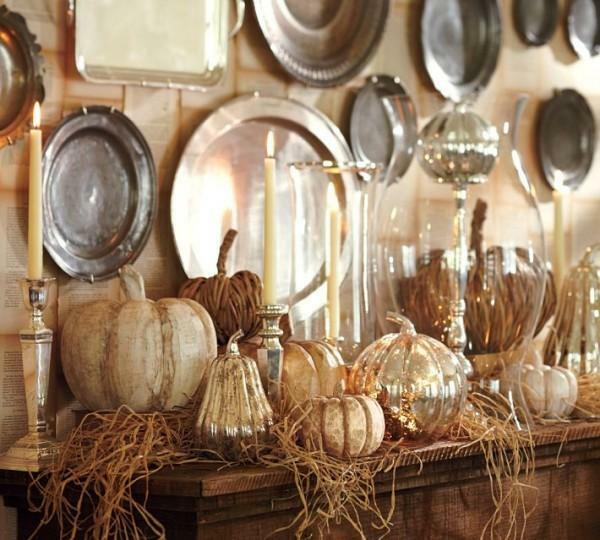 Hand-carved pumpkins, plates, bowls and vases made from pumpkins are fantastic for your fall table decor. 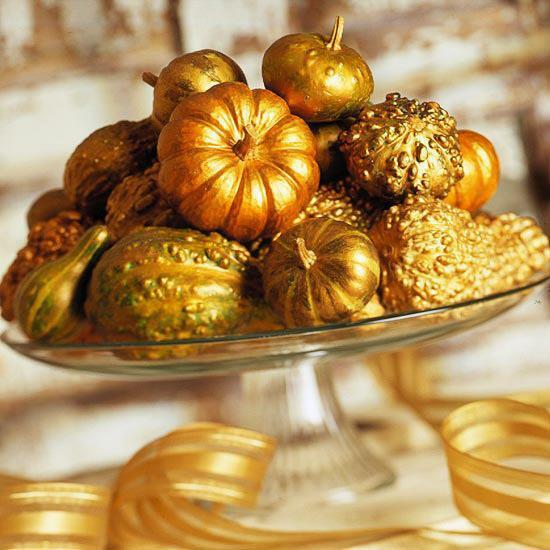 Even if you do not like the results, feel free to rework things a different way or add ribbons, buttons and even feathers to create more appealing and interesting fall decorations and centerpieces. 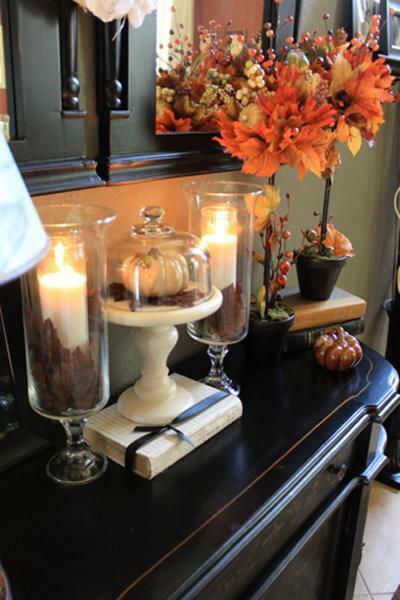 Fall decorating is a meaningful and very personal experience, so do not be afraid to experiment with natural materials and items that clutter your home, adding character to your handmade designs with creative and original details.